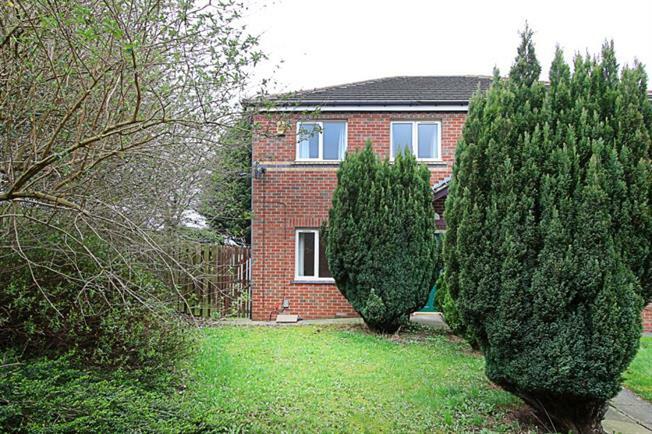 Offered for sale with NO ONWARD CHAIN is this fantastic, Three bedroom Semi-detached property, situated on a corner plot with a generous wrap around garden, the property is ideally placed for local shops, schools, amenities and transport links. In brief the property comprises of; to the ground floor the entrance porch/hallway provides access into a spacious living room. There is a further second reception room/ dining room and superb modern fitted kitchen comprising of a range of wall and base units with roll top work surfaces and integrated dishwasher,electric oven, gas hob and extractor fan. There is a further superb conservatory with French doors providing access to the rear of the property. To the first floor is the master bedroom, a further second double bedroom third single bedroom and three piece family bathroom suite. The property boasts an allocated parking slot. Ideally suited to a first time buyer, couple or family, an early viewing is highly recommended to appreciate this immense home!